Jan-Ake Bjorck has a long experience in international trade and business life. 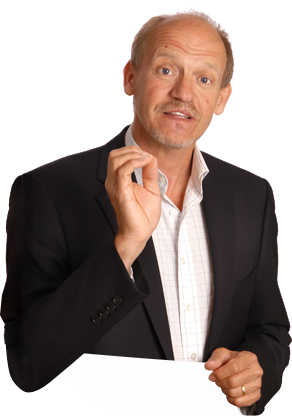 Jan-Ake Bjorck has been active in the international arena of business for more than 25 years. He is now dedicated as a communication consultant with a focus on negotiation skills, conflict management and mental training and presentation skills. During this period Jan-Ake has been engaged in business hi-technology sales and negotiation and he has thereby also acquired a vast experience in the field of international business as well as a good touch and feeling for different cultures. His career is influenced by an engineering background where he has represented the Ericsson consortium in a number of significant international telecommunication projects. Jan-Ake has also a Master of Business from Australia and complementary business studies from Berkeley University, California, U.S. and Thunderbird University, Arizona, U.S. He has been engaged in roles such as Project management, Sales Management, Product Management and as Business Director within the Ericsson concern. This has included numerous international business scenarios towards buyers, suppliers, partners and competitors. Jan-Ake is also well known for his skills as a public speaker and his way of putting forward complex issues in a pedagogical manner. In his profession as a public speaker, consultant and trainer, Jan-Ake is also conducting a modelling study of ”negotiation-excellence” in accordance to the science of NLP (Neuro Linguistic Programming)- methodology, which is an area within behavioural science where Jan-Ake has a Masters- and a Consulting-Trainer certificate from the NLP University, California, U.S. He is also a certified mental trainer and conducts DISC analysis and he is certified as an international coach under ICC. In his consulting role within international business, Jan-Ake offers courses and seminars in communication, negotiation, cultural awareness, creativity and presentational skills and metal training. He also offers coaching, mediation and mentorship within the above areas.